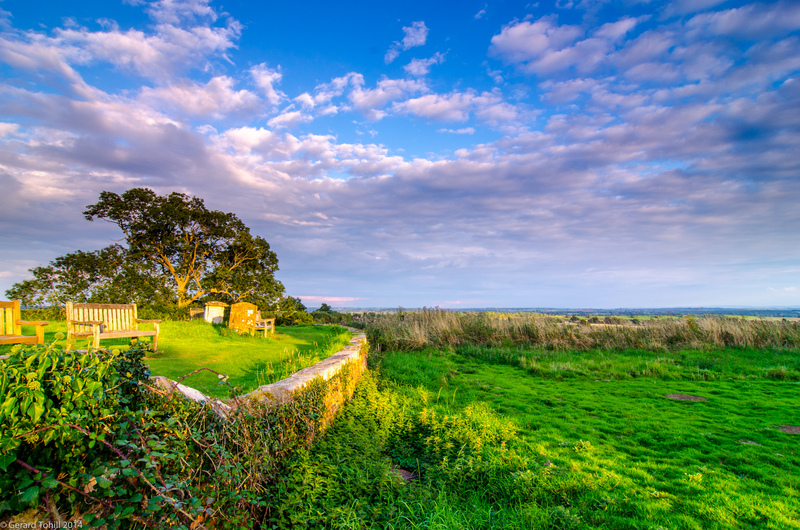 There are about half a dozen benches just within the boundary wall of Hanbury Church, and they have a wonderful view south over the Worcestershire countryside, from the Malvern Hills, through Bredon Hill, and all the way over to the Cotswolds. A great place to sit and enjoy the setting sun. I was looking for an image, when I noticed that a small gap in the trees would let the low sun shine through onto the benches – too good a shot to miss. Photography stuff: 12-24mm lens at 12mm, 1/13 sec at f/10, 3 stop graduated ND filter to hold back the sky, tripod, remote release.